Spring Grove is tucked along Grange Road which is about 10 minutes walk to Orchard Road. The Clubhouse never fails to attract expatriates as prospective tenants. It is a heritage black and white bungalow lived in by the American Ambassador years back and now houses the gymnasium, lounge, terrace, billiard room and function rooms facing a lap pool. Spring Grove comes with a large lap pool, great for swimming enthusiasts and the pool area is full of foliage and makes the whole place very tranquil. Most of the units come with a small balcony which you can put a small coffee table and chair. High floor units will command a great city view. 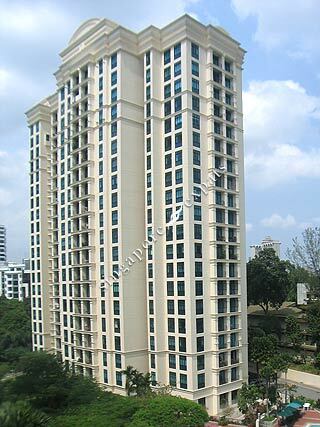 * Minutes walk to the Orchard MRT Station and Orchard Road shopping district. The Singapore Botanic Gardens and Great World City shopping mall are both located nearby. * Spring Grove is just a short walk or drive away from established local and international schools, including ISS International School and Raffles Girls’ School. It is also a short walk to the stretch of restaurants and eating establishments located at Kim Seng Promenade and River Valley Road. * Several one-stop shopping destinations are within reach, such as Ion Orchard, Takashimaya, The Paragon, and Wisma Atria. Quiet! Away from all construction!